Surveillance of both inside and outside can be easily captured and recorded. DVR - (Digital Video Recorder) - The versatile high performance digital recording system combines the benefits of digital recording with the advanced features of a multiplexer with no hassles of changing VHS tapes. Additional features include motion detection, user defined recording schedules and multiple recording modes. The DVR generates compact encrypted archive video clips. Instant searches by date, time and event or time/event are possible. The built-in network provides remote viewing and control over computer networks (LAN/WAN, ISDN, or DSL). 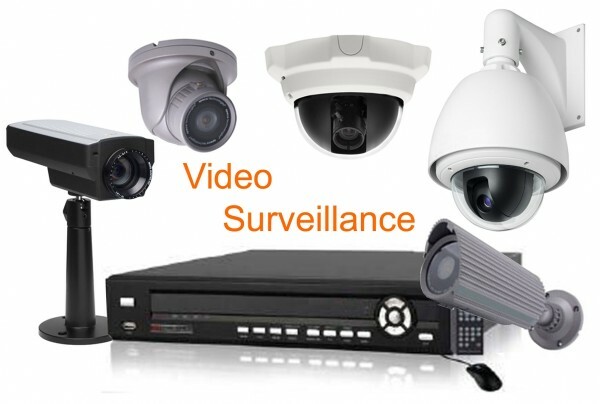 CCTV – (Closed Circuit Television Viewing) Camera – Color and black and white cameras feature digital signal processing for clear, sharp images. The CCD Chip Technology delivers superior sensitivity, greater dynamic range, and reduced smear to satisfy even the most stringent viewing requirements. Dome Camera – Indoor mini dome camera. Color or black and white display by a 4mm to 9mm varifocal lens allowing for precise field of view. The auto iris adjusts for changes in lighting conditions for optimal picture quality. 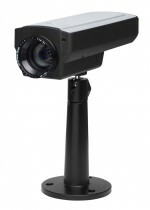 Outdoor Cameras – The weather and tamper proof camera features 580 lines of resolution that delivers extreme details and a 2.8 to 12mm auto iris varifocal lens indicating a wider zoom range to fit more applications. It can even see straight down a wall! Indoor IP Camera – IP Camera – Indoor and outdoor IP cameras install easlily with WPS (Wi-Fi Protected Setup) push button enrollment. There is no IP addressing or firewall manipulation and no security risk to customer networks.